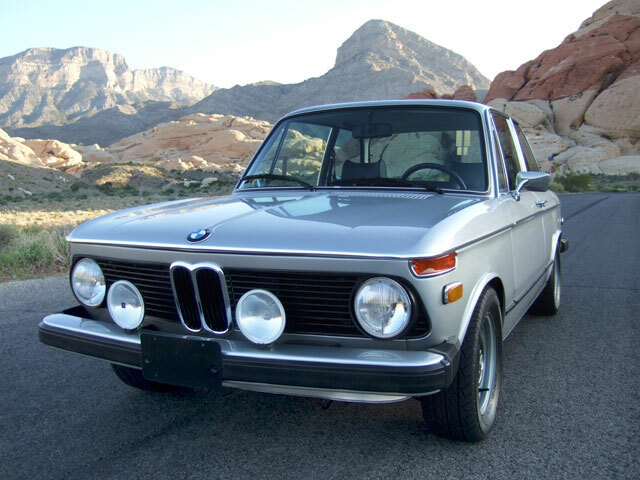 If you are a devoted 02 enthusiast, chances are you already know of this spectacular vehicle. 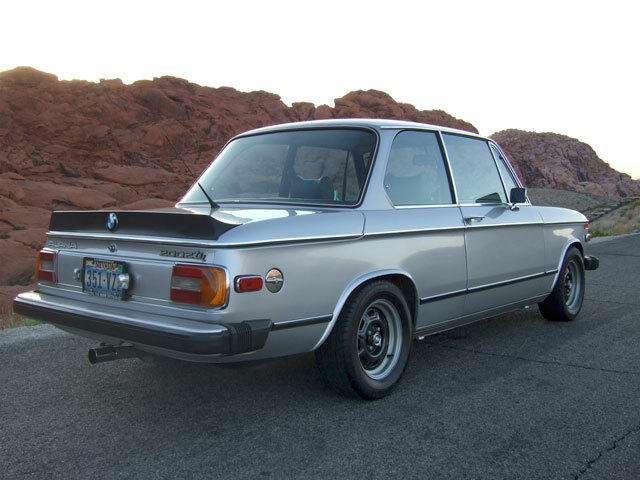 If not, please enjoy learning about this very unique 2002Tii with its very rare combination of ALPINA and BMW 2002 Turbo parts. 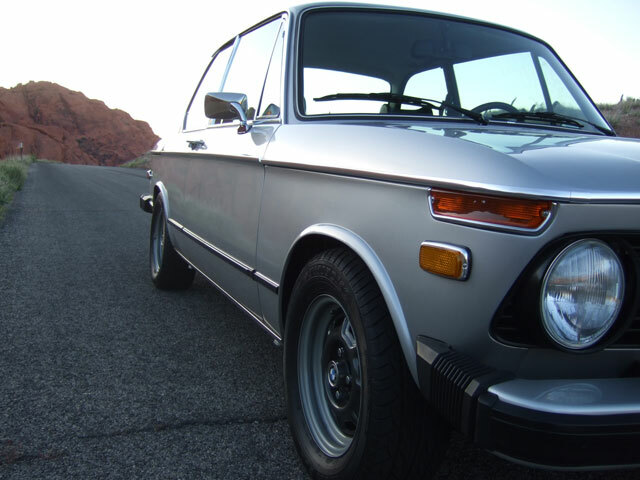 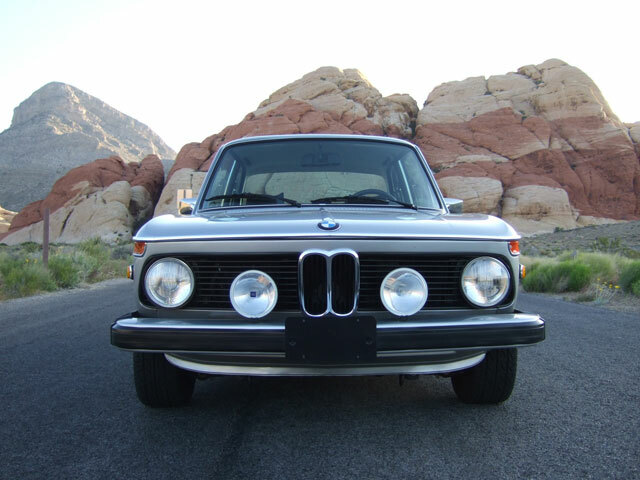 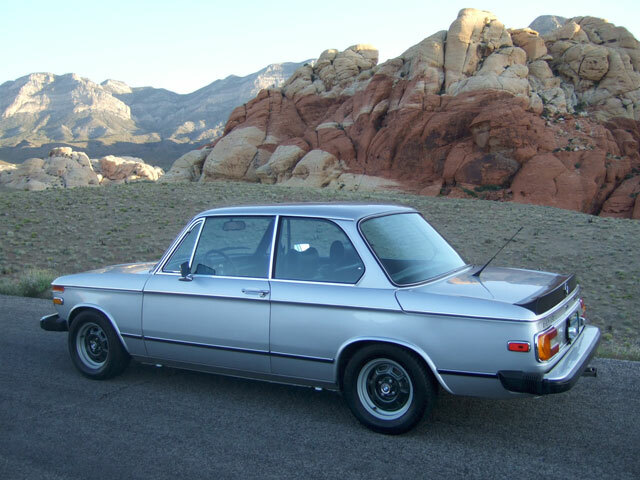 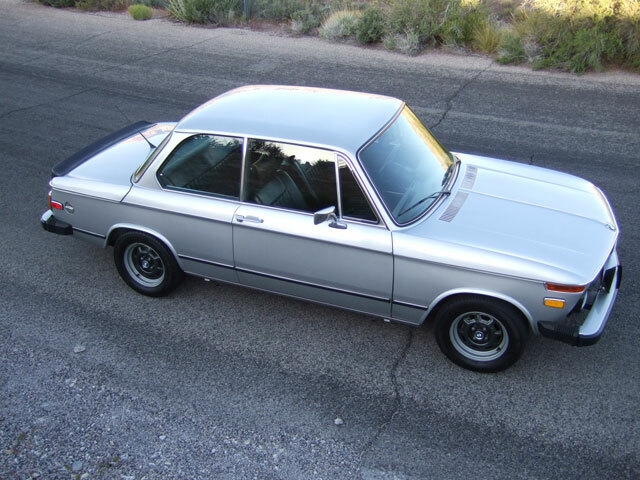 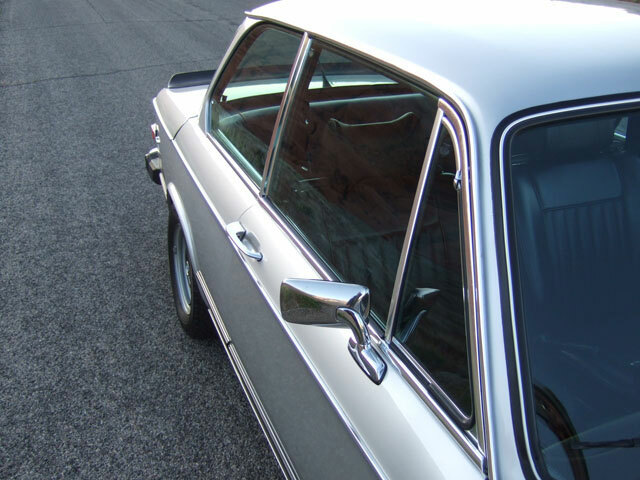 This 1974 BMW 2002Tii was built January 14, 1974, Chassis Number 2780500. 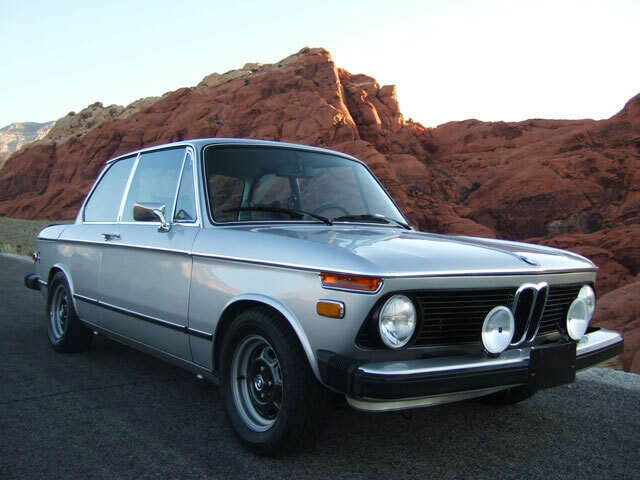 With only 9,576 miles on it, it was purchased by Bob Murphy at a dealer in Chicago on April 17, 1975. 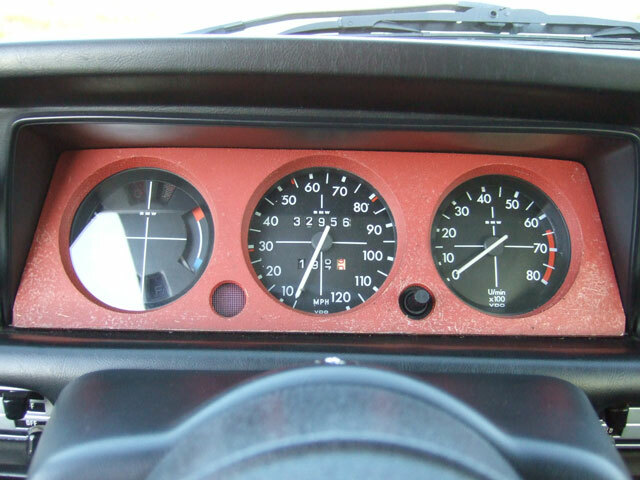 Bob owned the vehicle for 33 years and at the time he sold it in 2008 the vehicle had collected only 26,326 miles. 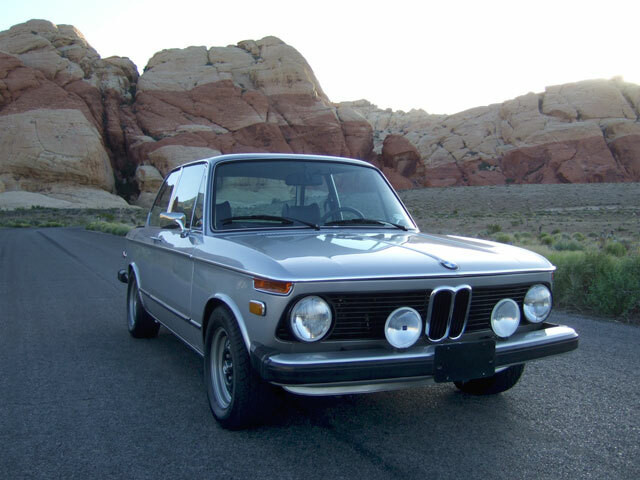 For those of you that don't know Bob, he has been instrumental in the preservation and maintenance of the 2002tii. 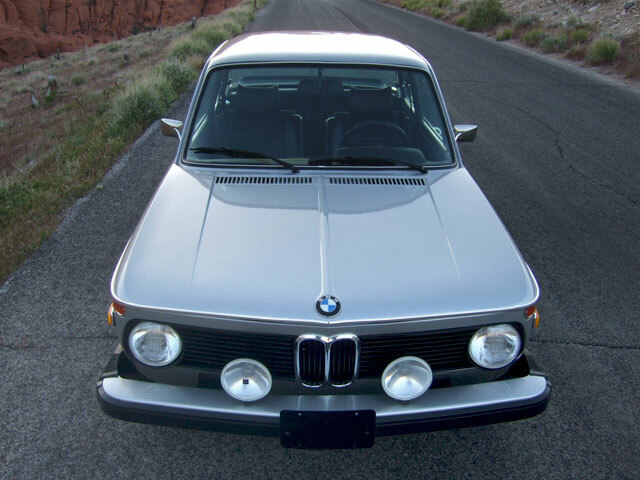 In addition to being the Director of the Tii Registry, Bob played a key role in bringing BMW AG Mobile Tradition and the BMW Car Club of America together when they were both just getting started. 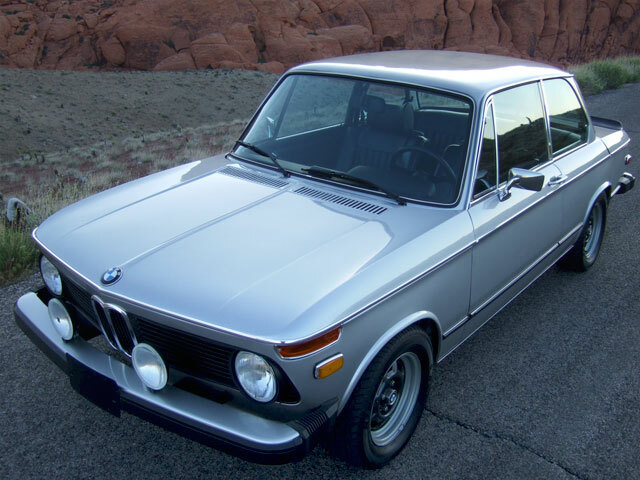 Through his relationship with key stake holders at Mobile Tradition, Bob was able to be a voice – and lobby on behalf of the base of Register members – to BMW on what Tii owners needed, especially in terms of knowledge and input towards parts that were no longer made by BMW. 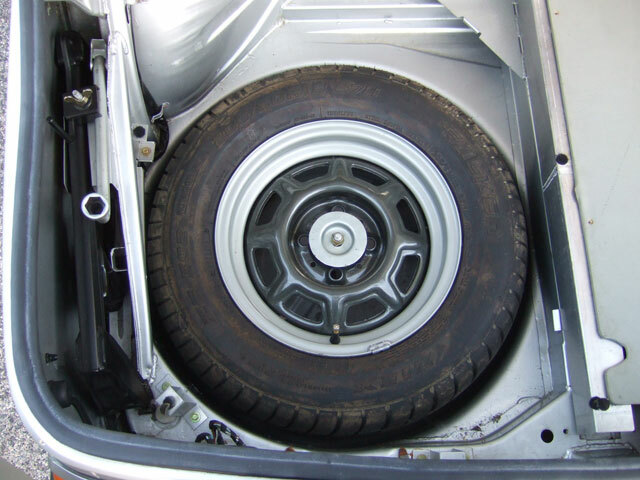 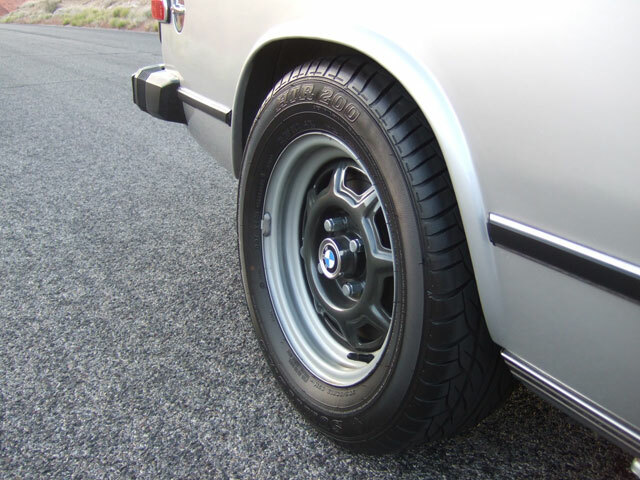 One of the classic examples is the Tii pump pulley which was reinvented by BMW AG once again with improvements suggested by Bob. 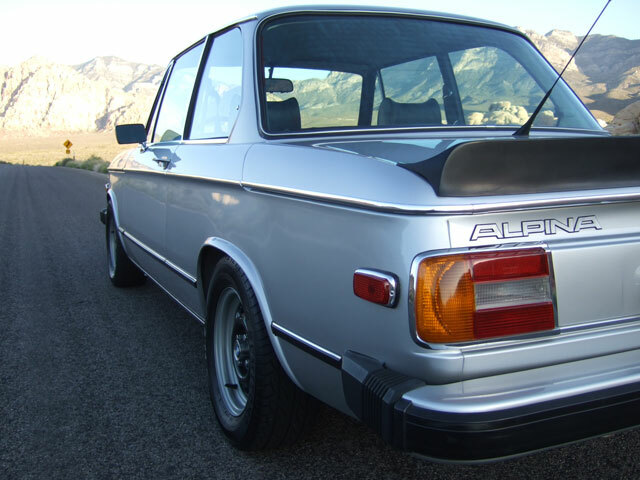 As you can imagine, this is a very rare opportunity. 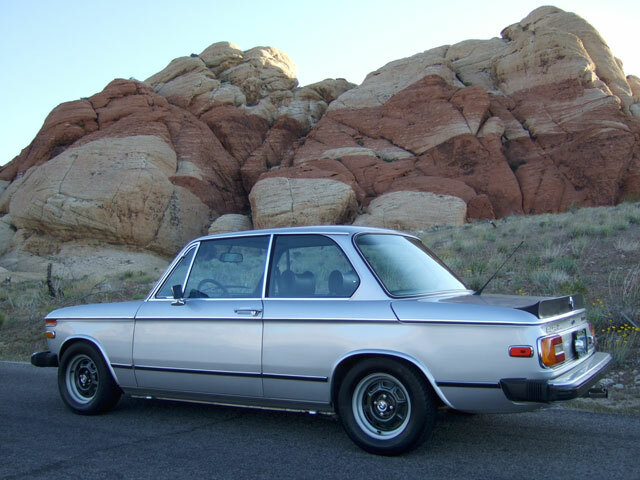 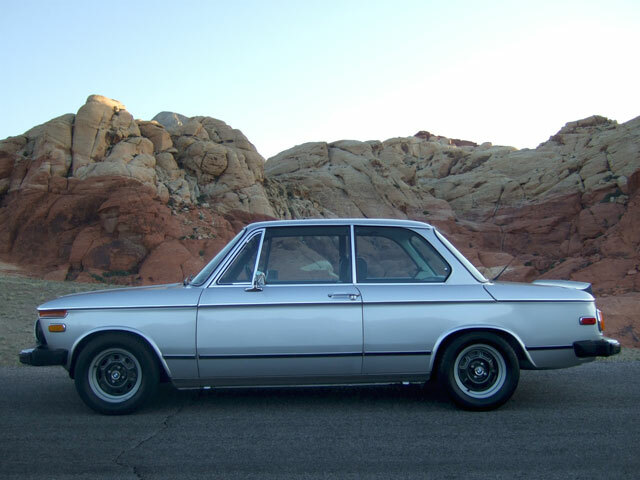 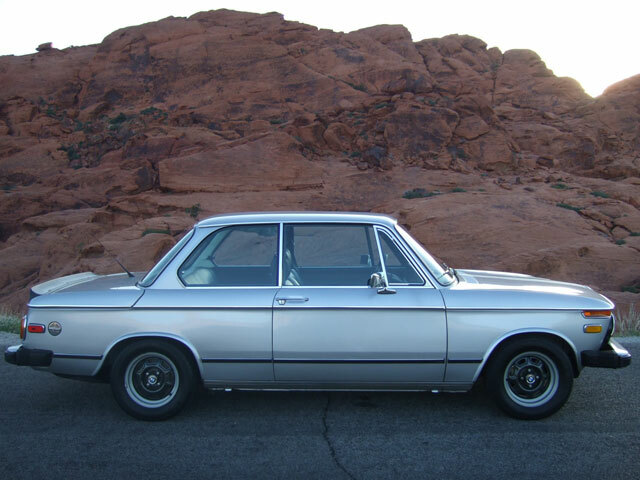 To buy and drive a 2002Tii that was built by a legend in our industry with a collection of new parts so rare it took 24 years for him to accumulate them all and build his dream car. 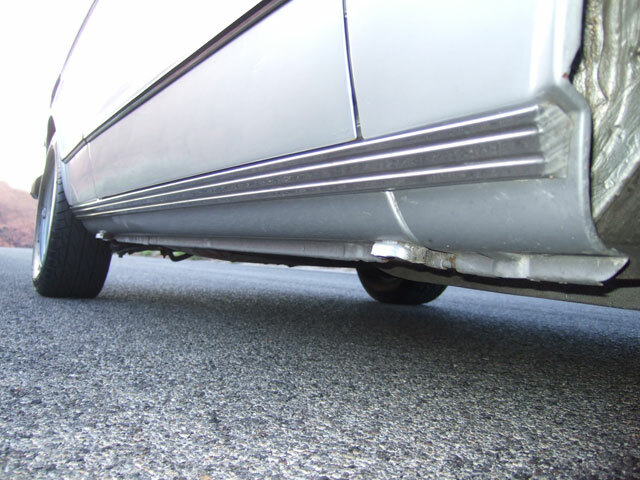 Bob began the five year bare metal nut and bolt restoration back in March of 1999. 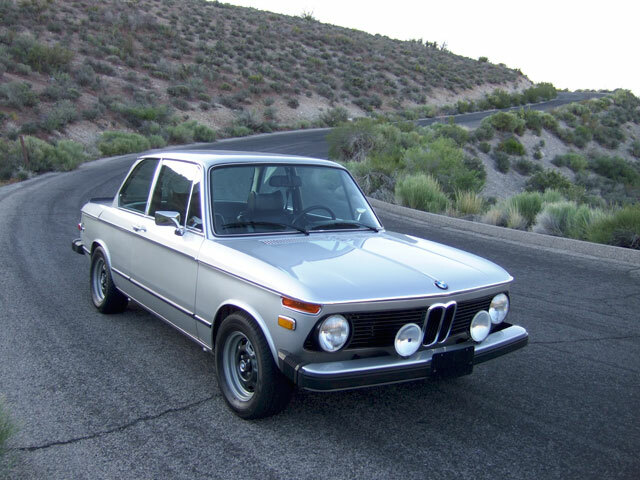 With the help of Mike Perkins (Bavarian Machine Specialties) the vehicle was completed in time for the BMWCCA O'Fest in Austin Texas back in October of 2003. 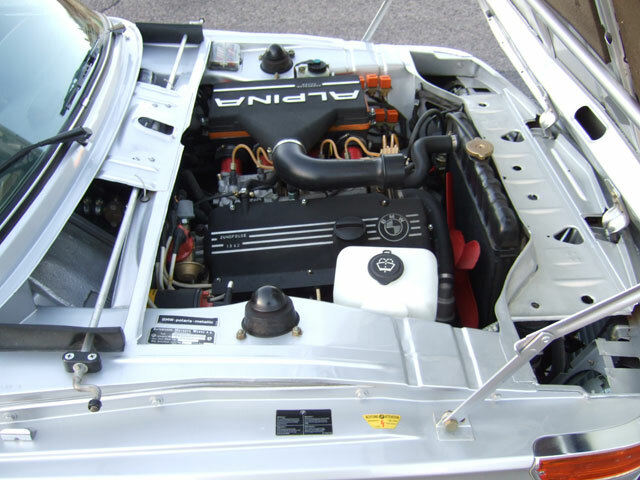 The restoration was a no expense spared process with the body completely stripped and repainted with Glazurit Polaris base and clear coat. 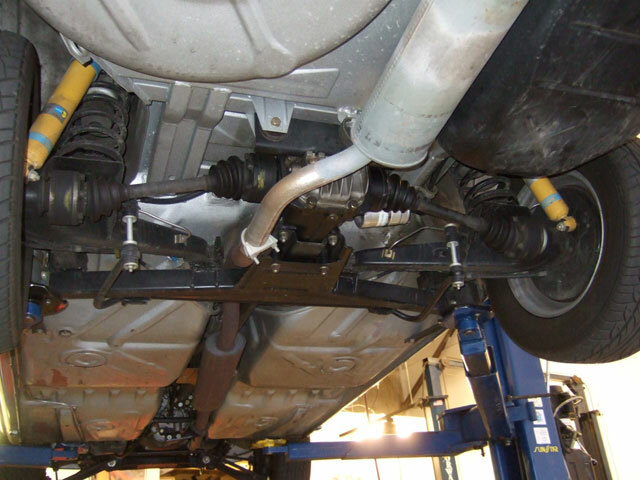 Parts that were not replaced with new were stripped and CAD plated. 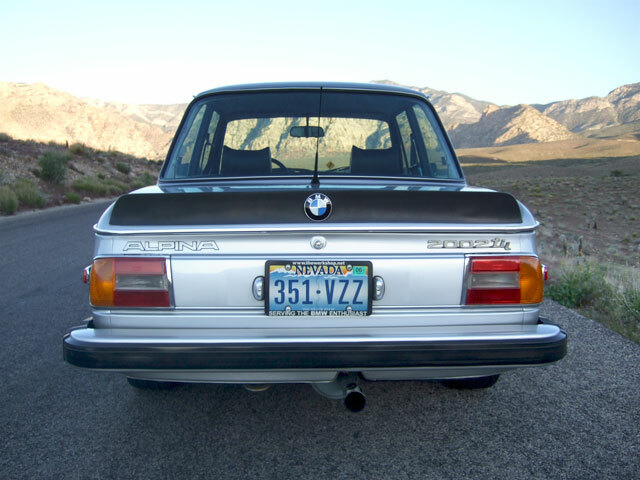 Bob had the bumpers color matched and tucked closer to the body than stock and the tail panel converted for center exhaust fitment. 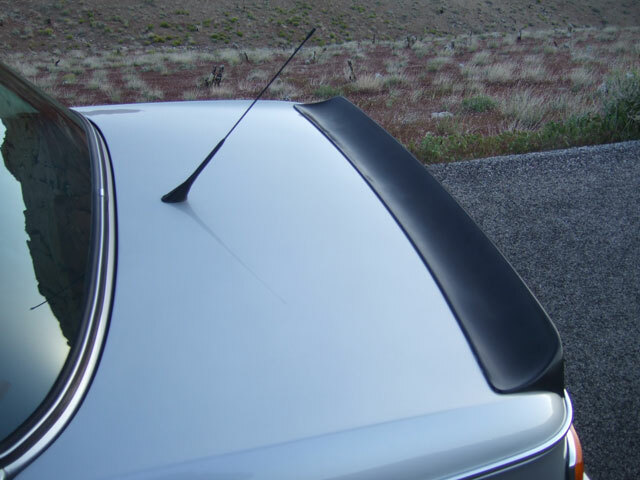 Additionally he added a Turbo Spoiler and a center mounted antenna to the boot lid. 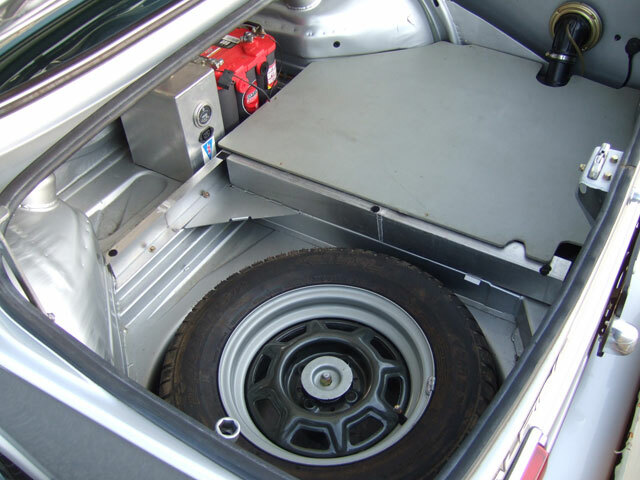 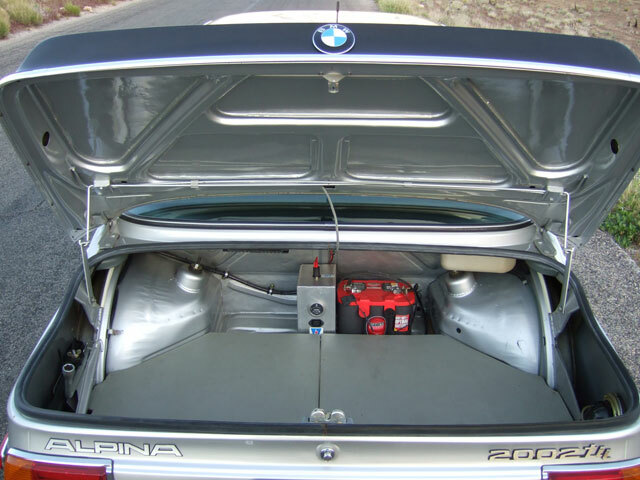 The trunk boards rest on an aluminum tray modified to accept the BMW 2002 Turbo Fuel tank which gives an increased range with larger capacity. 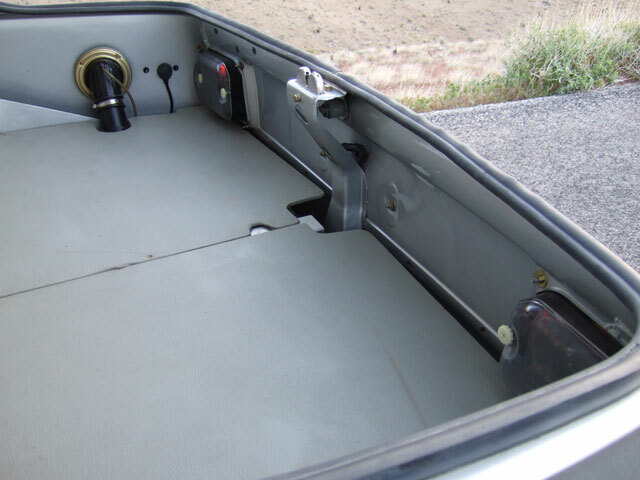 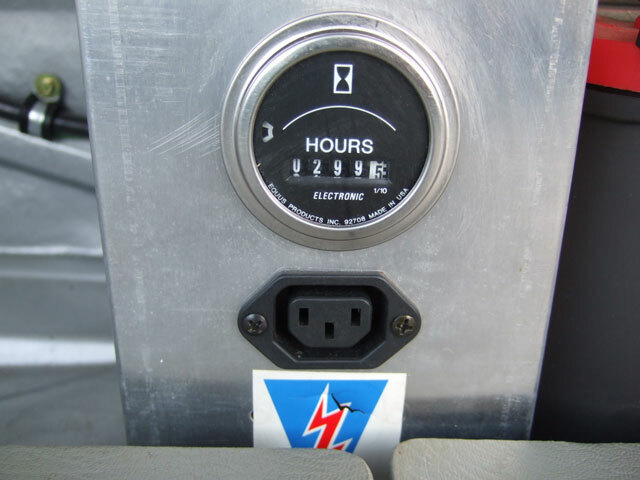 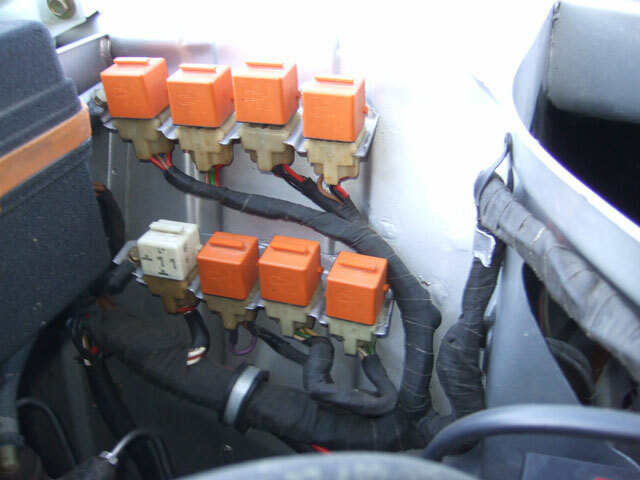 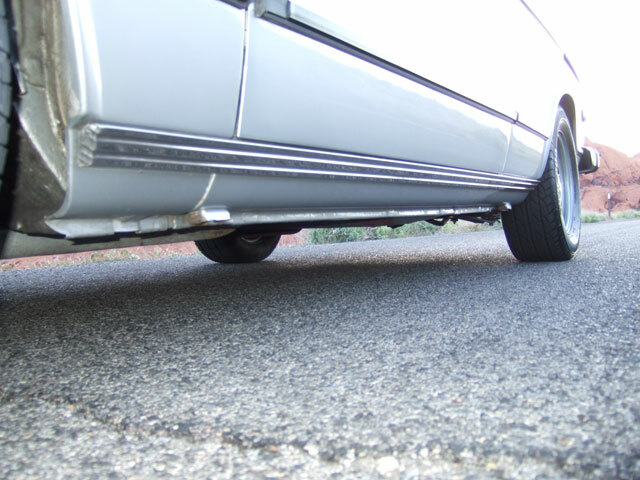 The battery has been relocated to the trunk and is complemented by a plug in trickle charger for battery maintenance with an hour running meter, and additional battery terminals have been fitted under the hood. 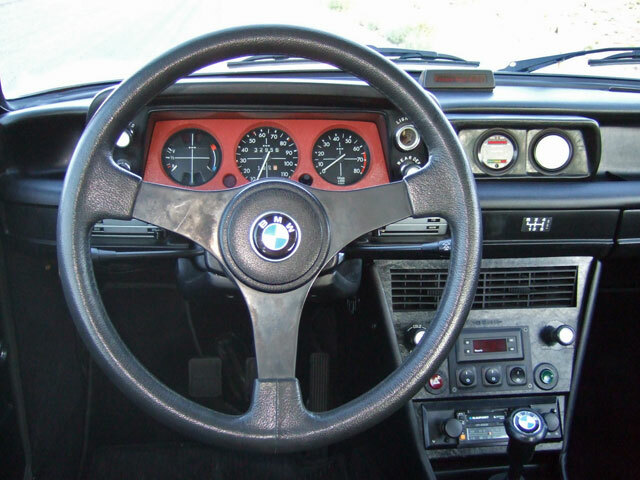 Bob sourced and installed a new OEM Turbo Dash and Turbo Steering Wheel then added the gauge pod that houses a specially designed knock sensor and matching Air/Fuel Meter. 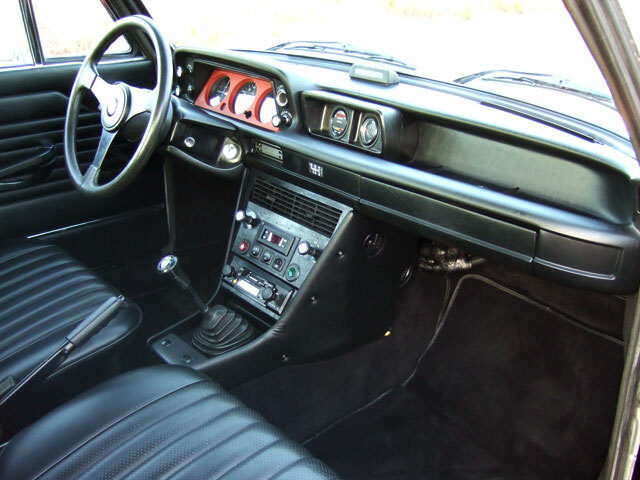 The A/C is Ice Cold with much help from a modern Rotary Compressor as well as upgraded hoses and components. 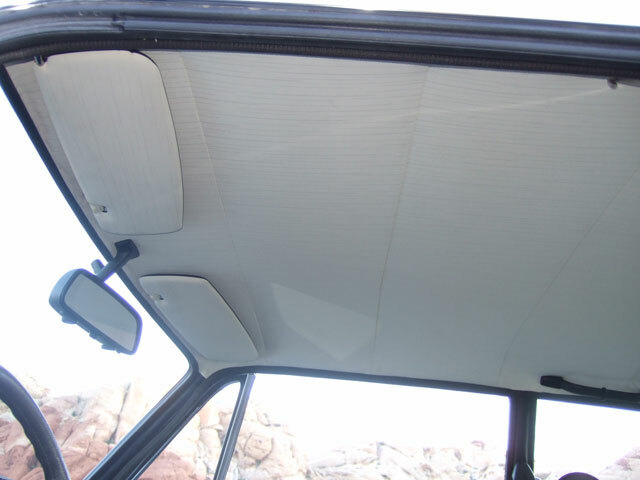 Bob installed Dynamat noise and heat insulation under the high quality "Lux" black wool carpet, as well as behind the door panels and above the headliner. 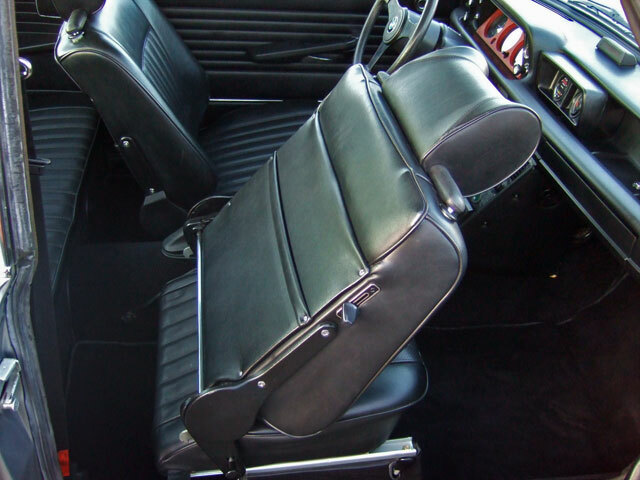 The seats have been completely refurbished and replaced with original gummihar (horse hair) padding. 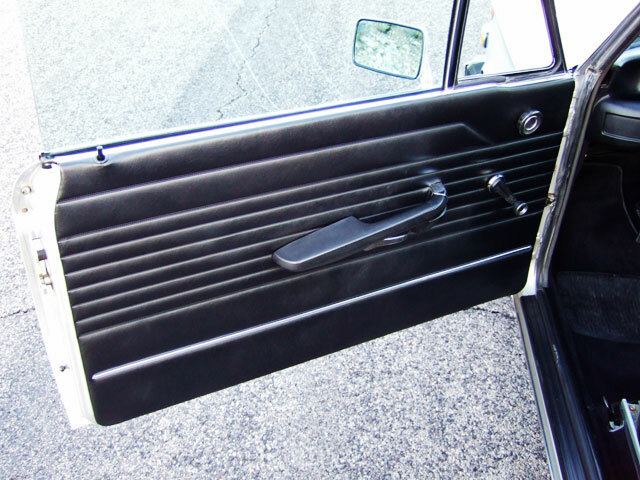 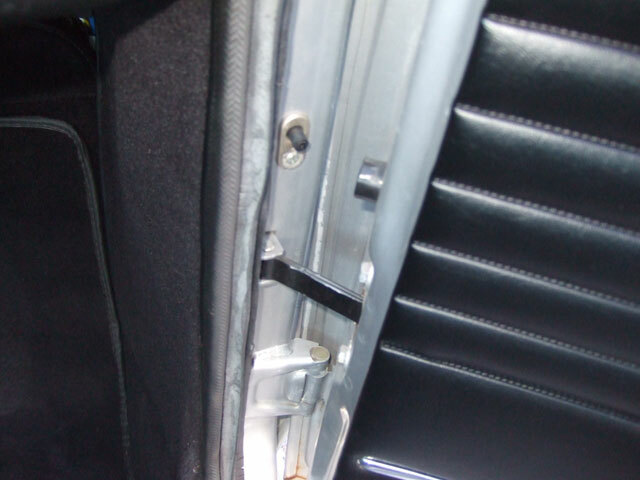 The door panels and trim were replaced with new OEM units. 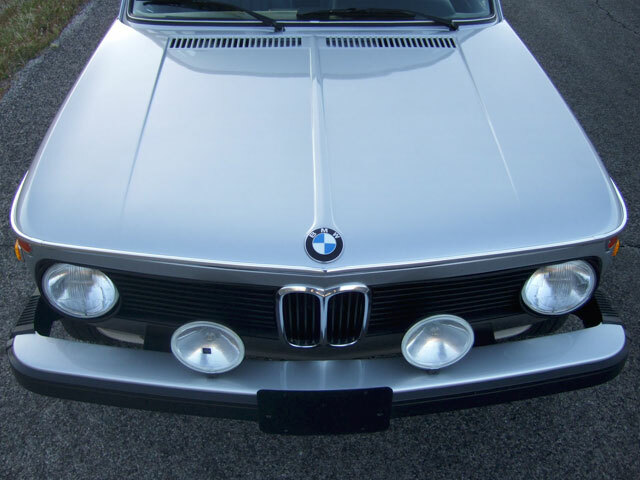 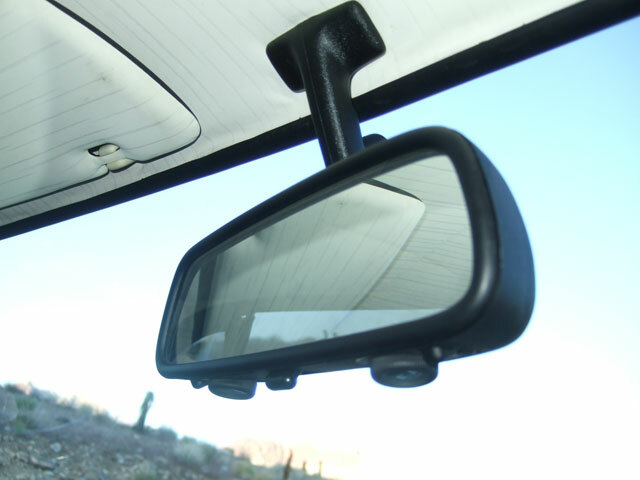 The headliner is new and the rear view mirror has been updated with e30 Map Lighting. 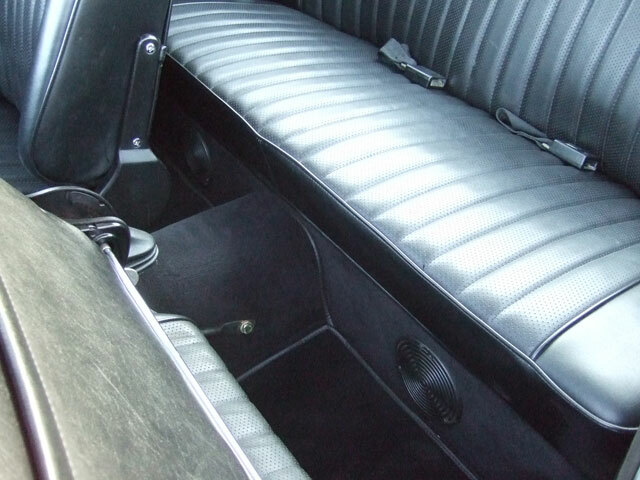 The Blaupunkt radio works great with the help of a Hirschman amplifier and the speakers have been tastefully placed in the lower rear seat tray. 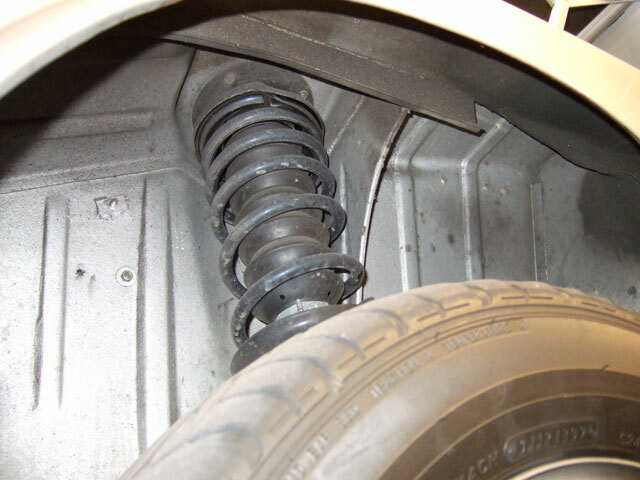 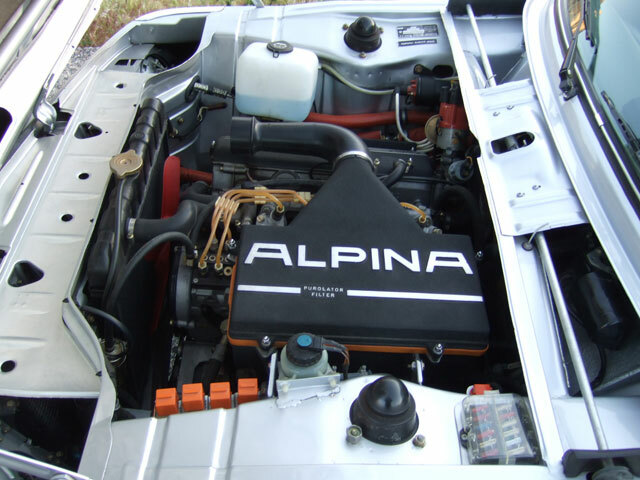 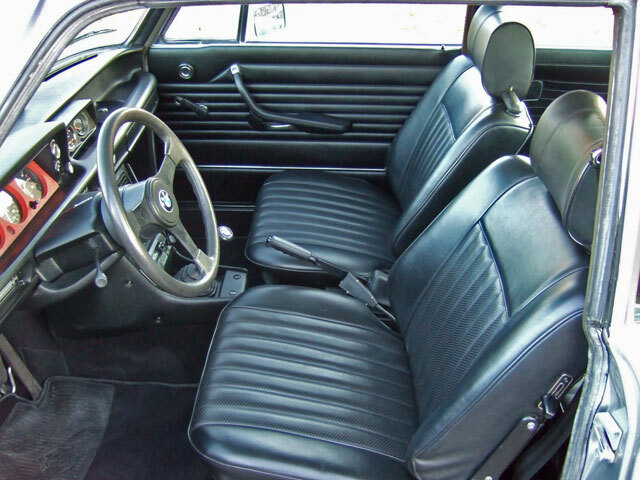 During the late 1960's and 1970's the German Tuner ALPINA offered a range of performance upgrades for the BMW 2002. 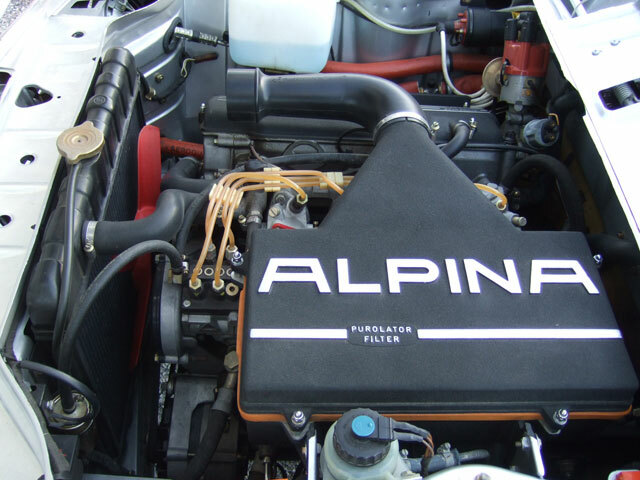 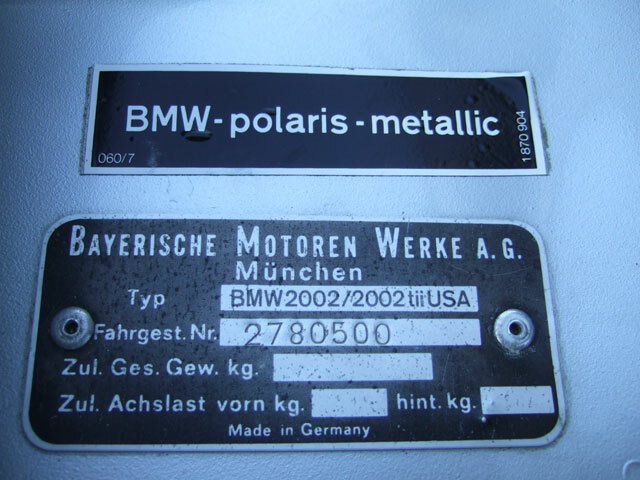 ALPINA designated their four cylinder M-10 conversions with the letter "A" of which the A1-A4 versions were available for sale. 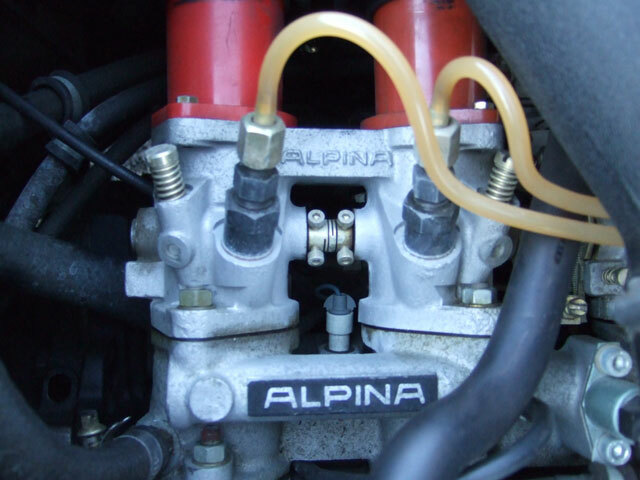 The only version using the Kugelfischer injection pump was the A4 which came in two versions: the 160HP A4 and the 175HP A4S. 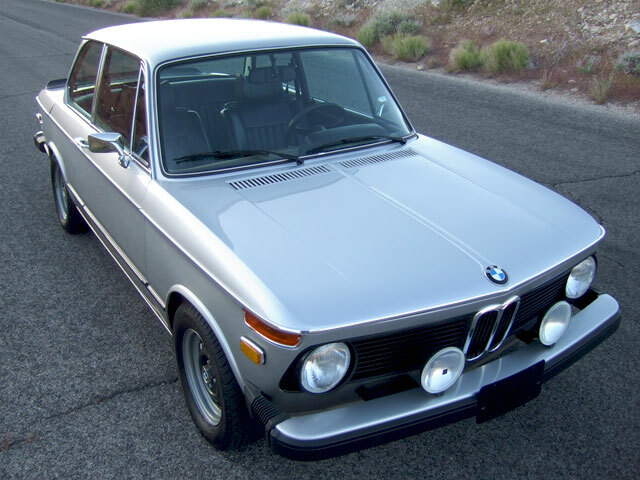 Over the total production period 184 A4 engines were produced and only 90 A4S engines were built. 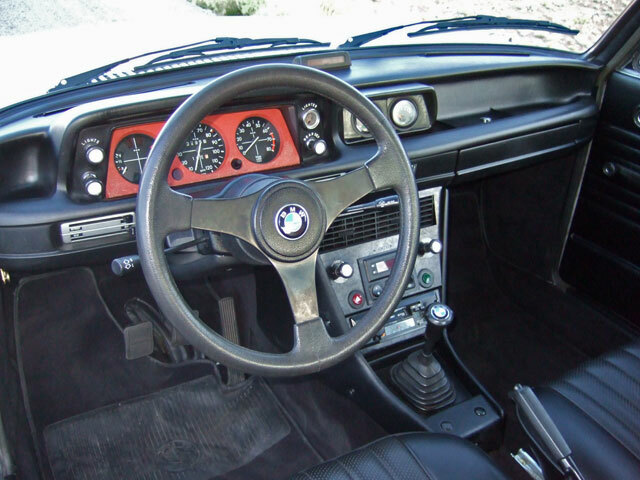 This is the A4S, and Bob took it a step further by adding the rare Bosch electronic ignition system, the "Thunderbolt", with the Knock-Sensing Transistorized Ignition. 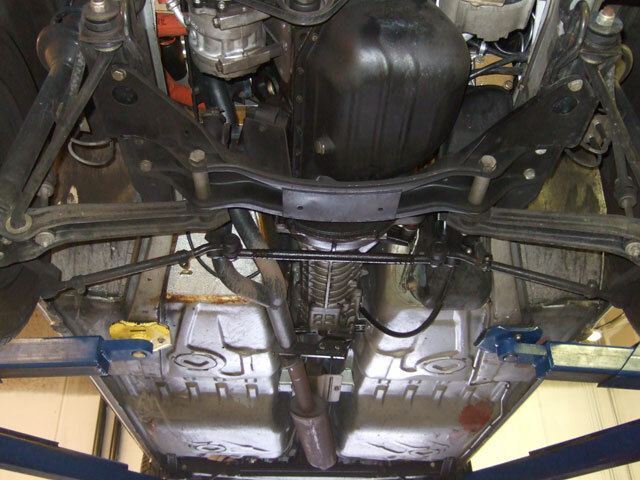 He increased displacement with second over Mahle Pistons and had the head re-worked for improved air flow and then fitted with all new late model valve guides. 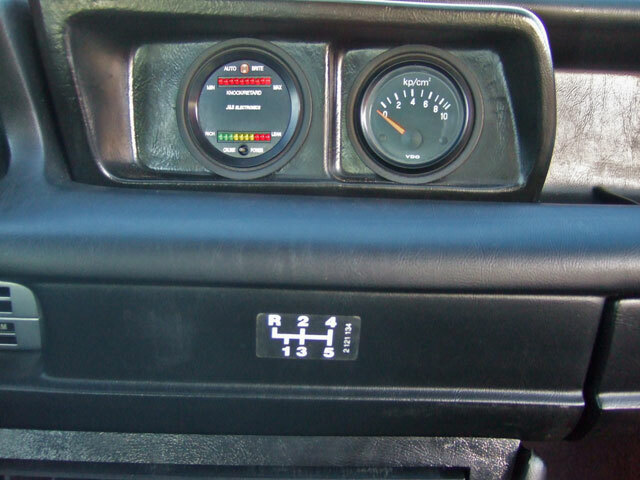 The injectors and the fuel control cam on the K-Pump were prepared by Dave Redzus of PAR Automotive Research. 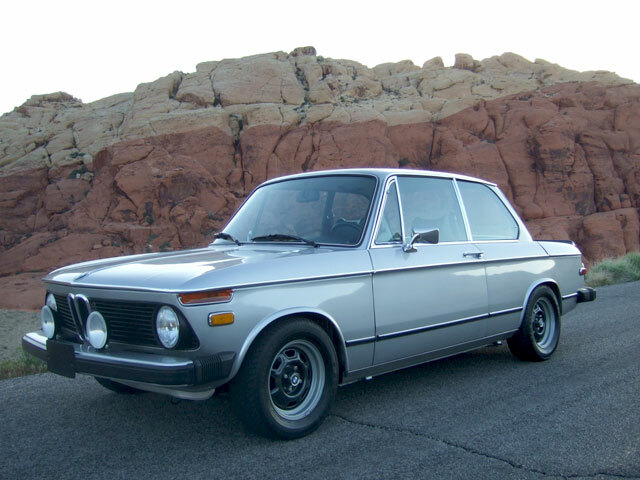 The rare "Dog Leg" Getrag 240 Close Ratio 5 Speed gear box was purchased new from BMW and transfers plenty of power back to the Limited Slip Differential. 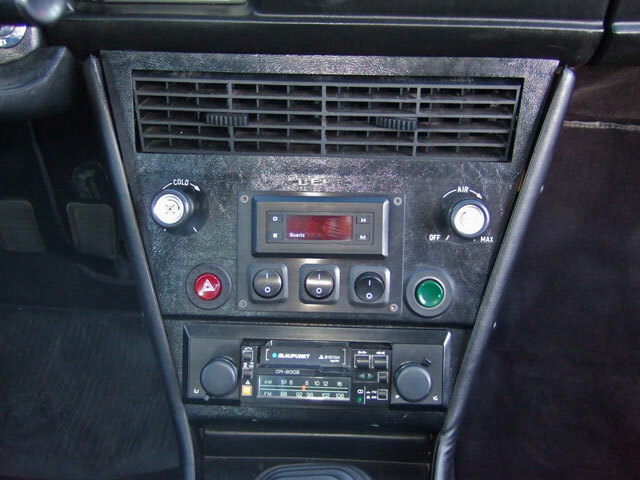 The alternator was upgraded to 95amps and additional Bosch Relays have been installed to help with items like the Euro Z-Beam Headlights and the bumper mounted Hella Driving Lights. 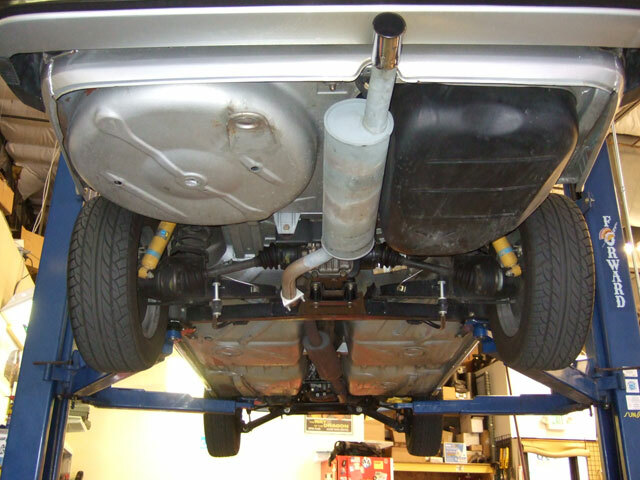 Bob sourced NOS (New Old Stock) struts and brake calipers from the BMW 2002 Turbo Model along with NOS OEM Turbo external oil cooler, Turbo radiator and larger cooling fan for superior cooling.